These days, thick and fabulous is the order of the day for popular lash and eyebrow trends. At Luxx Lash Salon & Boutique we specialize in many areas of beauty like clothing and procedures that make your eyebrows and eyelashes “red carpet ready.” From microblading eyebrows to eyelash extensions, we understand how to give you the youthful look that you desire. 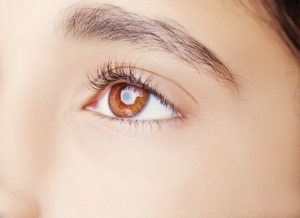 Your eyebrows are key features of your face and treating them as so is important. With our Revive-A-Brow extension method, you can have perfect, full eyebrows for your next big event. Here are some of the most popular questions when it comes to how our process works. How Does the Eyebrow Extension Process Work? 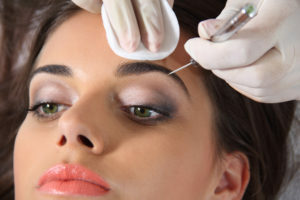 The eyebrow extension process is generally pain-free and isn’t a huge time commitment for the customer. The first step in the process is really the only part that can be physically irritating. Threading or cleaning up the brow area is necessary before completing the final two steps. Keep in mind, an artist needs a clean canvas to perfect their craft. During this step, after the brows have been rubbed with an alcohol pad to remove bacteria and natural oils, the hairs are brushed back. Once this occurs, the primer is applied to prepare the hair for adhesive. The final step is where individual hairs are placed on the brow. The size of these hairs ranges between 5 and 8mm. Since each synthetic hair is placed one by one, much like eyelash extensions, this process takes a fair amount of time. Also, the time the process takes depends on how much brow that you need to be placed in the area. This is a much different process than eyebrow microblading, which is more of a semi-permanent makeup job. Oil loosens the glue that holds the air to your natural hair. Even the natural oils of your fingers can cause your eyebrow extensions to fail and fall out. At Luxx Lash we offer four levels of our Revive-a-Brow service, with a free brow tint included within all of our sets. If you are in the market for a new, thicker, eyebrow or eyelash look, get in touch with Luxx Lash Salon & Boutique. Our professional team of beauty stylists will give you the look you desire in a safe, comfortable environment where you will be treated like royalty. We offer services from classic lashes, to waxing, to microblading. Let our experience in the beauty industry help you enhance your look. Contact us today to schedule an appointment.